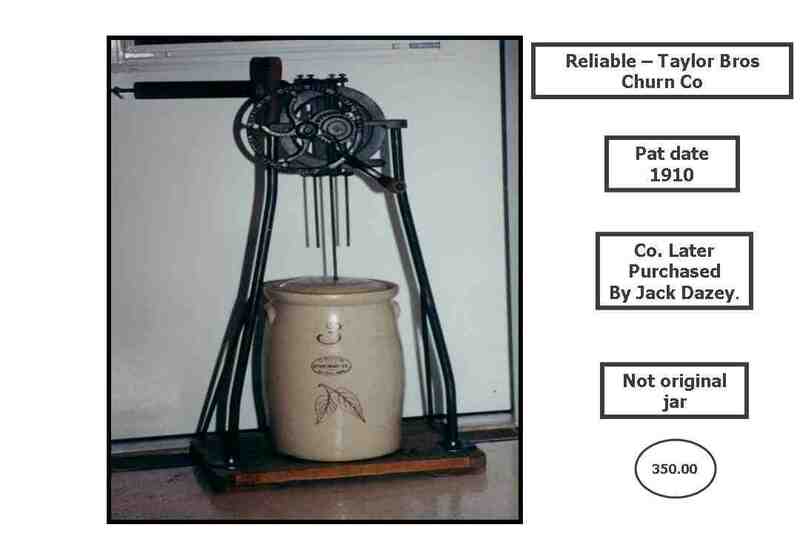 The Taylor Bros. Churn & Mfg. Co. 4460 Finney Ave, St. Louis, MO made these items. Made in U. S. A. They were designed by J.P.Dazey Jr. 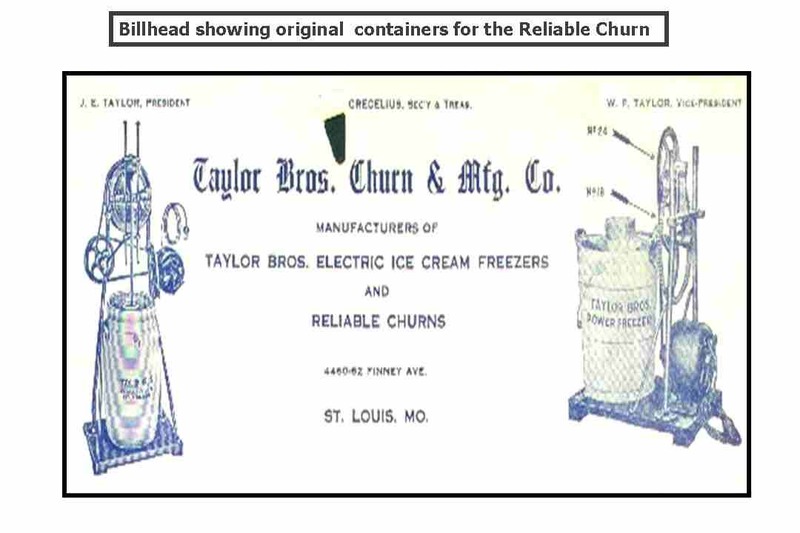 These two churns and ice cream freezer sport the original labels. These items are not in a high price range but will add to a collection of churns.